﻿I received this Advanced Reading Copy in an exchange for an honest review. Take Me To The Cat is the newest novel from YA author Bryant A Loney. It's a psychological thriller, packed with dramatic twists and turns that will keep you hooked till the end and a little while after. I caught up with the author to learn more about how he feels about small town life, why he feels the tortured artist rhetoric is damaging and why LGBT rights and feminism are topics close to his heart. 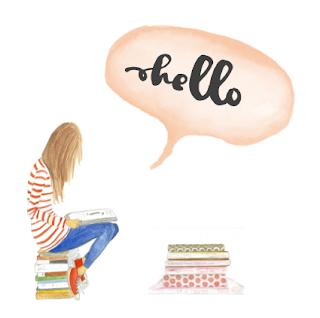 Read on if you're interested in discovering what inspires the mind of a YA author! Can you summarise Take Me to the Cat in three words? Three words? Identity. Friendship. Fanaticism. The theme of nostalgia is really tangible in the book — was there something in particular that made you want to explore it? A lot from my childhood has shaped me into who I am today. I went to five elementary schools, for instance, and I’m also a child of divorce. So there’s a great deal of What Ifs there for me. I’m a firm believer that writers should focus their fiction on what bothers them, and these countless alternate universes in my head of what could have been and what should have been—that’s really what fueled this novel. In writing Cat, I’ve come to terms with the way my life turned out; had the bad stuff early on not happened, then the good stuff later wouldn’t have, either. It’s all cause and effect, and it’s this unhealthy desire for an unattainable past that led me to this discovery. There’s a reason “nostalgia” is the first word in the novel, after all! LGBT rights and feminism are prevalent topics in the book. Are they issues that you’re passionate about yourself? Definitely. The 2015 U.S. Supreme Court case of Obergefell v. Hodges, and then the 2016 Orlando nightclub shooting, were both major influences on the novel. Again, I like to write so I can work out my own thoughts on contemporary issues, and the different responses I encountered regarding these events left a lot for me to think about. The same with transgender rights and restroom access, as well as the underrepresentation of asexuality in our media. Feminism is also important for me. I’m a guy, but I have a mother, a little sister, and friends who are women, so the advocacy of their rights is a no-brainer for me. These topics aren’t what the novel is solely about, but the first word that came to mind when describing Cat was “identity,” and our sexuality and gender are a part of how we define ourselves. The stigmatization of LGBT+ people is abhorrent. The inequality shown to women is ridiculous. This novel is me trying to help combat these dilemmas. It’s by no means perfect, but then again, it’s more than I’d done before. So it’s a start. The character of Troy has a personality bigger than the town he lives in. Is he based on a real person? If so, how often do you take inspiration from real people for the characters in your books? Troy is in many ways the realization of the more primitive and instinctive components of our personalities. Or maybe just mine, anyway. He says a lot of what I wanted to say in high school—he’s crasser, a bit rude and snarkier, and he doesn’t care what most others think of him. But he’s also insensitive, and his lack of a filter can sometimes get him into trouble. I’ve known a couple of Troy-like people throughout my life, but he’s essentially the rebel in me. That said, I occasionally do take inspiration from real people for characters. It’s only natural—to write what you know. And hey, if people want you to portray them in a more positive light, then they should have treated you better, right? Just kidding. It’s all out of love. Michael’s longing to escape small town life is definitely relatable to a large number of young people — have you experienced this yourself? My thoughts on this change constantly. Being landlocked, I’ve always wanted to live by the sea, but now I’m thinking somewhere more arid in climate. A desert, maybe. Oklahoma is home, though, and the four seasons here can be gorgeous. I’m in no rush to leave, but a lot of my friends in high school were. I understood where they were coming from; our lives are meant for exploration. I suppose I’m not there yet. Someday, though. Someday soon. I really enjoyed your previous books To Hear the Ocean Sigh and Exodus in Confluence, so my question is, do you want each of your books to stand alone or are you trying to build a body of work with connections between them? Thank you! I appreciate it. The idea behind my books is that they are indeed standalone works, but they do complement each other. While they’re separate stories, some characters may be referenced across books, or familiar locations might show up in each, and so on. Stephen King’s worldbuilding definitely inspired this longing for interconnectivity between stories. I like to believe the decisions we make impact more than our own lives, and so I’ve attempted to implement this over what I guess could be called the “Bryant Loney universe” of sorts. Plus it’s one way of keeping me, the author, entertained throughout the editing process—these little references that only I will ever catch. There’s a method to my madness, I swear! What would you say makes your writing style unique? Oh, I doubt I’m the best judge of this. I like to imagine I have a strong sense of dialogue, so maybe that? I try to be as authentic to the characters’ voices as I can, and because they’re mainly teenagers, that includes a lot of umms and switching subjects mid-sentence and informal speech and the occasional rambling, but only because that’s, well, that’s how we talk. Not the awkward attempts at slang I’ve seen some older Young Adult authors go for. Oh, yeah, and writing characters who are seniors in high school can also mean a lot of F-bombs. Sorry, Mom. But honestly, what else are you gonna say when there’s a maniac chasing you through the woods? “Oh, no, please, stop.” Pfft. As if. Would you advise aspiring authors to read within their most comfortable genre or expand their reading to books of all genres? It’s important to read in the genre you wish to write in so that you can keep up with the trends—and to know which tropes to avoid or revamp—but you should always read outside your comfort zone. For example, I often read Young Adult books and contemporary fiction, but Take Me to the Cat was inspired most by the farce The Master and Margarita by Mikhail Bulgakov, the meta and insane Idaho Winter by Tony Burgess, the tragicomic Fun Home by Alison Bechdel, the psychological thriller I’m Thinking of Ending Things by Iain Reid, and more. These books provided me insight into some nuances of storytelling I hadn’t considered, allowing me to then borrow the techniques I felt worked for the narrative. So while we should by all means read for pleasure, aspiring authors should challenge themselves as well. It’s the only way to learn and grow as a writer. Read first, then write. Is there any advice you would give to your younger writing self? You do not need to be temperamental or upset to be a novelist. Don’t embrace the tortured artist rhetoric that any life difficulties might serve to benefit and enhance your writing. That’s damaging. Counterintuitive. Writing can be so incredibly lonely, and when you’re alone with your thoughts for long enough to produce a hundred thousand words of your own headspace, it can be scary. Suffering is not good for your art. Mental health care is. So talk to someone other than your future readers about the problems you are facing. Someone you know and trust. There is no shame in asking for help. Finally, if you could interview any author, alive or dead, who would you choose and why? Nick Miller, no question. He wrote Isn’t It Pretty To Think So? which is my favorite novel, like, ever. I’ve read it six times back-to-back and at least once every summer. I have so many questions for that man, and the ending continues to haunt me on restless nights. One of these days, Miller! One of these days. 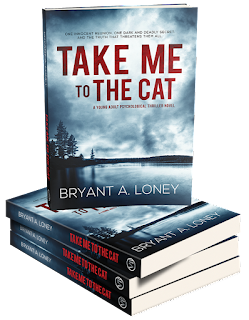 Take Me to the Cat releases on June 27th, 2017 in print, audio, and eBook formats via Amazon, Barnes & Noble, iTunes, and more. Loney is also the author of YA novel To Hear the Ocean Sigh and novella Exodus in Confluence.